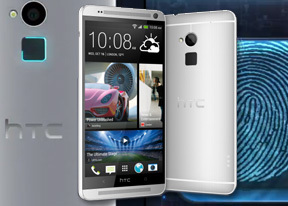 It's phablet o'clock on HTC's watch and they're shifting gear and changing direction. Done expanding the One portfolio towards the compact end of the spectrum, HTC are going the other way with the aptly named One Max. It builds on a proven formula emphasizing media consumption and looks, while bringing a few welcome new features to the lineup. The expandable storage deals with one of the chronic liabilities of the One, so you're no longer limited in your selection of videos and songs to enjoy on the excellent speakers and the now even bigger screen. There's also the latest Android release powering the whole thing, coupled with the most up-to-date edition of HTC's proprietary Sense UI. The choice of Snapdragon 600 over its more capable Snapdragon 800 sibling is bound to raise a few eyebrows, but realistically, the Snapdragon 600 is no slouch either and it has never left an impression of being underpowered. And with the resolution unchanged over the HTC One, there will be no extra strain on the GPU to worry about either. So what we need to find out now is whether the Sense UI 5.5 is as good as HTC touts it to be, and whether the fingerprint scanner can be a key selling point. We already saw an excellent hardware implementation of the feature by Apple in the iPhone 5s, but the software failed to make proper use of it. We now set out to find what HTC did differently and how well it works. But first thing - first. The HTC One Max is getting a proper physical examination right after the break.